The following penalties apply to standard DUI charges. Those who have been accused of DUI Refusal or DUI under age 21 would face harsher penalties than what is described below. First time Burbank DUI offenders can be sentenced to a jail sentences between a minimum of 48 hours and a maximum of six months in a Los Angeles County Jail facility. In addition, there will be a base fine and penalty assessments. The maximum fine is $1000 for a first DUI, however the fees and assessments added by the court end up being significantly more than the base amount. This fine could be as much at $5000. 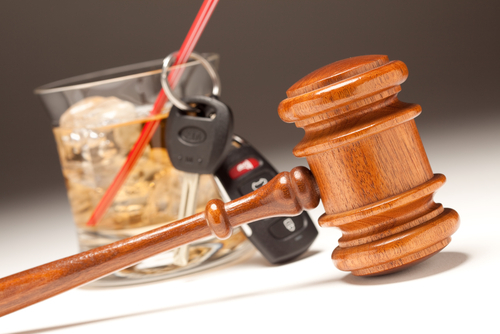 Burbank DUI sentences for first offenders also include many other requirements and penalties. The conviction will prompt a driver’s license suspension unrelated to any that may be assessed administratively by the DMV. The suspension can last between six months and a year. Because Burbank is part of the Los Angeles County DMV IID pilot program, DUI offenders are required to install an Ignition Interlock Device (“IID”) in any vehicle they own. Additional Burbank DUI Penalties include a mandatory DUI class ranging between three and nine months. A first DUI in Burbank conviction will typically include probation for a period between three and five years. Probation may be formal, in which the defendant is supervised by an assigned probation officer, or informal, where the defendant is responsible for meeting their own deadlines and due dates. Probation carries several conditions as well, including search and seizure conditions that allow law enforcement to freely search a probationer without the need for probable cause. Someone on DUI probation cannot commit any new offenses, must maintain a valid driver’s license and auto insurance, and is forbidden from driving with any amount of alcohol. People with one earlier DUI conviction within the past ten years can expect the following enhanced Burbank DUI Penalties. Defendants convicted of a second DUI in Burbank face a minimum of 96 hours and a maximum of six months in jail. The mandatory DUI class would also be much longer; between 18 months and 30 months. A two year license suspension is required for second DUI convictions. Some defendants may be eligible for a restricted license after 90 days that would allow them to drive with an IID device installed in their automobile. People who were already on probation when they were charged with the second DUI and those who refused testing would not be eligible for a restricted license. Courts may require installation of an IID device, regardless of what the DMV decides. Additionally, fine amounts are significantly higher for second Burbank DUI convictions. People who are charged with a third time DUI in Burbank (meaning two prior DUI convictions within the past ten years) face a mandatory jail sentence between 120 days and one year. Penalties for third time DUI in Burbank would also include a mandatory DUI class between 18 and 30 months, installation of an IID device, and a three year license suspension with no opportunity for a restricted license. Additionally, fines and fees are more expensive. Burbank DUI defendants with three prior DUI convictions within the past ten years can be charged with either a felony or a misdemeanor. Mandatory jail sentences can range from six months in jail (for misdemeanors) to three years in prison (for felonies). Furthermore, Burbank DUI Penalties for fourth DUI convictions carry a four year driver’s license suspension, either the18 month of 30 month DUI class, IID installation, and a significantly higher fine amount. Due to the potential severity of Burbank DUI Penalties, it is critical that you have an experienced and effective DUI Defense attorney working on your case as soon as possible. Burbank DUI Defense Attorney Michael Kraut works tirelessly to help his clients minimize and even avoid Burbank DUI Penalties. As a former deputy district attorney with over 14 years of prosecutorial experience, Mr. Kraut is highly respected throughout the court system and works hard to secure optimal resolutions for his clients. For more information about the Burbank DUI Penalties, and to schedule your free consultation, contact Burbank DUI Defense Attorney Michael Kraut at the Kraut Law Group located at 2600 West Olive Avenue, 5th Floor, Burbank, CA 91505. Mr. Kraut can be reached 24/7 at 888-334-6344 or 818-563-9810.